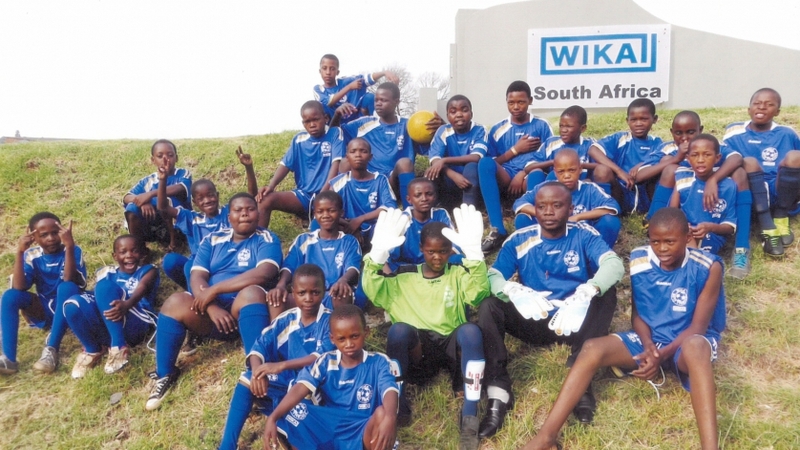 WIKA South Africa has for some time sponsored soccer kit, soccer balls and goal posts for the youngsters of the Mangolongolo informal settlement next door to their head office in Johannesburg. They have now trained up two soc­ cer teams to play against other teams and schools in a local league. This has been organised by their new coach, Ernest Wakandwa. Ernest Wakandwa is a 30-year old science student from the Democratic Republic of Congo, who has come to South Africa to study microbiology at UNISA (University of South Africa). When still living in his home country, he worked with his mother in a charity organisation based in the DRC. Ernest decided to continue this passion when he came to South Africa. He heard about Mangolongolo in 2012 when he spoke to three women from Zimbabwe, who told him about the settlement. Ernest made contact with the settlement’s leader and in 2012 he began bringing food and clothing to Mangolongolo. Then in 2013 he began to work with the children. Ernest established a junior soccer team (under the age of 16) and a senior team (under the age of 22). 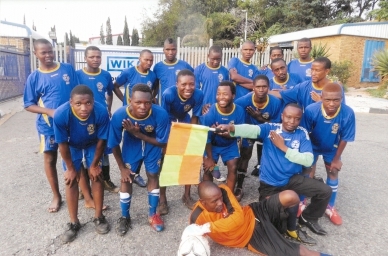 WIKA South Africa designed and supplied their kit. They practice and play matches on Tuesdays, Thursdays and Saturdays. On Mondays, Wed nesdays and Fridays Ernest supervises aftercare activities where the children do their school homework and receive extra lessons. He also does charity work in other communities, but always with the focus on refugees and vulnerable children.